Projects- the best of all worlds! I believe one of the most dynamic and student-driven parts of the Lower El. Curriculum is the project. The students love to choose a topic that interests them and research (read about) it, then write and draw to share what they have learned with others. 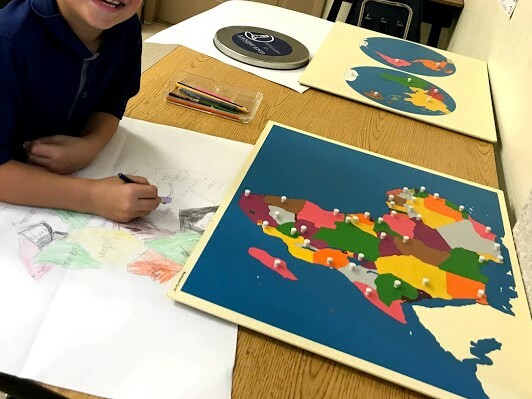 Ten years ago, when I started teaching in a Montessori Lower El class, our projects were a nebulous idea, something that the students worked on occasionally and rarely finished, since there was no formal process. One of my Montessori gurus steered me in the right direction and gave me a project form to help guide the students in the process. (see above) Over the years, we have tweaked the process and the form numerous times. 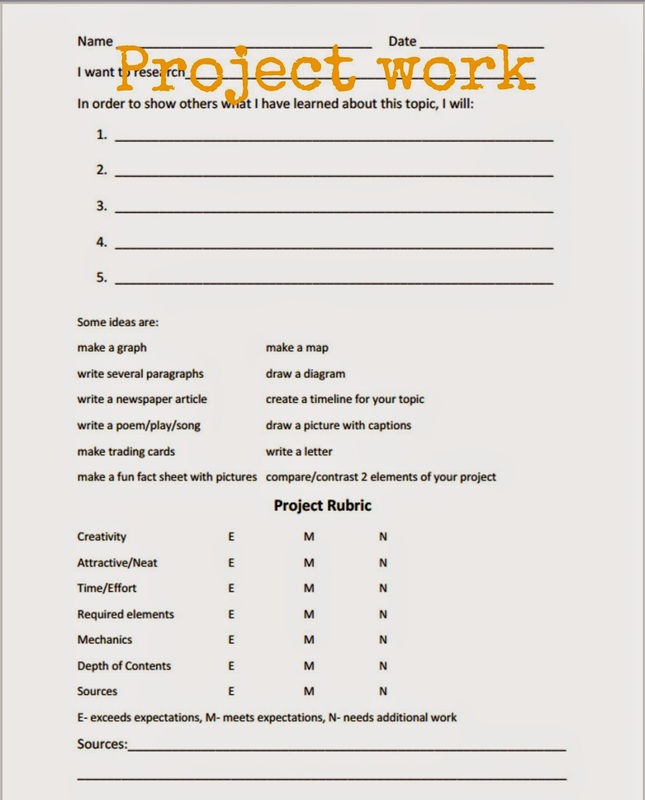 Most recently, we added a rubric to the form, helping students understand what the expectations for their work were. When the students are finished with their project, we go over the rubric together and they self-evaluate (with a little input from me). Why is the project such a meaningful learning experience? -it is based on student choice! I have read several articles lately on the power of student choice. I love it when mainstream educational research "discovers" what Montessorians have known for years! -it is interdisciplinary. Working on a project ties reading, writing, content area subjects, graphing, and more together, making learning relevant to the real world. -it allows students to practice skills (finding the main idea, writing expository paragraphs, etc.) in a meaningful way. -it provides a framework to develop and practice higher-order thinking skills. -it builds teamwork and cooperative learning skills. In our class, students self-select a partner (if they like) for their project. -it provides a meaningful venue for public speaking when the student presents the project to the class. I could go on and on about the benefits of projects! Do you use independent projects in your class? What has worked well/not worked for you?